Can you tell us what the brand name and type of yarn it is? A link would be helpful so we can see what it looks like and what it’s made of. I don’t see that colorway, but it looks like this one. Do you have any ideas of what you’d like to make? Here’s a few ideas. Okay here are some things that are knit flat. These aren’t necessarily in chenille, but they are super bulky and knit flat. My Traful Vest is worked flat in a breeze. Both fronts are knitted from bottom up and then joined in the same needle to knit the back from shoulders to the bottom edge. It has only 2 seams, one at each side. This big orange baby elephant, with a curved trunk and big floppy ears, is ready for big cuddles and games. 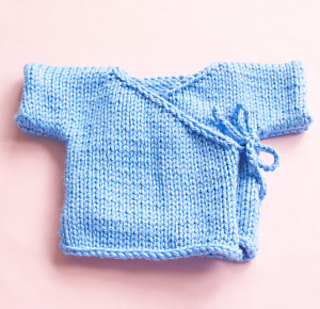 Knitted in chunky thick ribbon yarn your big baby elephant will grow very quickly! Please share when you’ve finished so we can see! Pretty! I’m not sure you can get all those out of the 300 yds, but possibly. Go to Ravelry and do a filtered search under patterns. That’s what I did in the ones I shared. I selected knit flat, about 300 yds, and super bulky then put baby into the search. There isn’t a lot for super bulky yarn, but maybe you can find something I didn’t. So adorable! That hat is too cute for words and the rest of the ensemble is perfect. Well done. That’s an adorable set! I bet the new mom will be very happy!